The blade of his rusty shovel slices soil made soft by spring. Pulling back on the handle, Hasan Ünal pauses to inhale the sweet smell of broken earth. But he cannot dawdle for long. He works on a deadline. He has weeds to pull, holes to dig, and bones to clear. Forgotten, that is, by everyone but Ünal and his family. The 34 year old was born and raised here. His father took care of the cemetery before him. He and his wife, Nimet, live onsite in a yellow two-story house surrounded by gravestones. The treatment of the dead reveals a great deal about the living. Towards the end of the 18th century, with their cemeteries diseased and in disrepair, rulers from across Europe began searching for recourses to their overcrowded urban burial grounds. The expansive, pastoral cemeteries on the outskirts of Istanbul drew an admiring gaze. Europeans were drawn, most notably, to the great Ottoman necropolis, the Grand Champs des Morts (“Great Fields of the Dead”), which blanketed the hilltops outside of the city to the north. 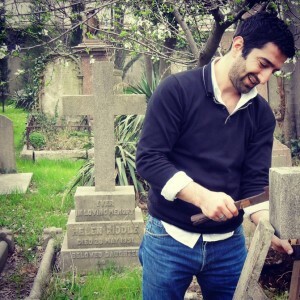 Hasan Ünal succeeded his father as groundskeeper of Farikoy Protestant Cemetery in 2007. But by the 1860s, Istanbul was in a similar predicament to Paris and London. The Great Fields were, increasingly, in the way of outward expansion. Sultan Abdulmecid I ordered for the bodies to be exhumed and the Great Fields to be relocated farther north. The sultan allotted a sliver of land in Ferikoy, which at the time was rural farmland, to house the bodies of European Protestants who died while living in the Ottoman Empire. Since that time, Ferikoy Protestant Cemetery has been under the protectorate of the consulates of nine countries — including Great Britain, Sweden, and the Netherlands — all of which take turns overseeing the property. Europeans and Americans, along with their Turkish family members, continue to be buried here, men and women, young and old, Protestant and Muslim, laid to rest together under the same earth. The cemetery has been filled four times over. Occasionally the old, large headstones tell the story of death, a casualty of a shipwreck here, a victim of smallpox there. More often than not the details are restricted to names and dates. Sometimes, as in the case of the unmarked graves, even that basic information has been lost. Ünal’s father began looking after these graves in the 1970s. 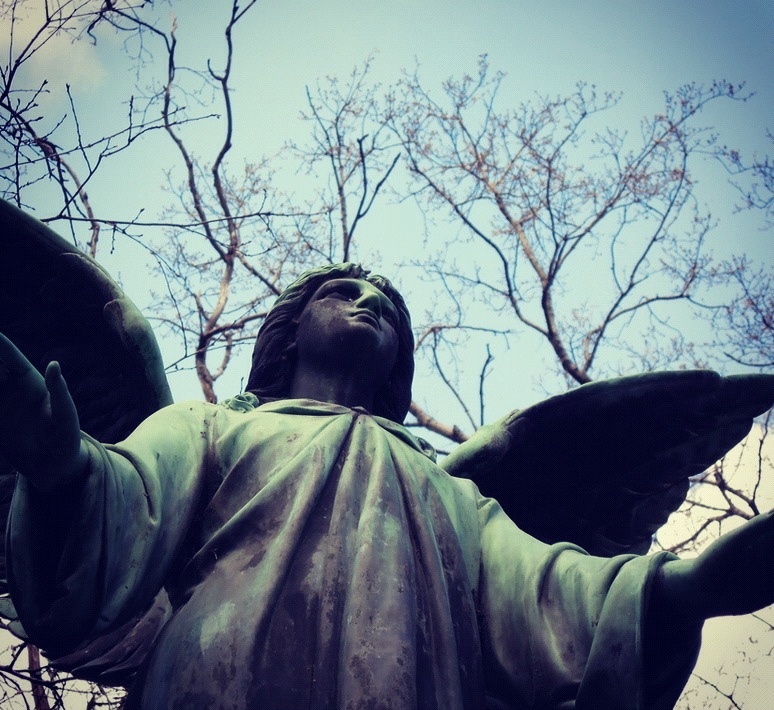 He awoke one morning to find that gravediggers had stolen nearly twenty statues, many of them of angels. Ünal took the reigns from his father five years ago, and although he has not witnessed looting or destruction of that magnitude, he says he has witnessed, over the last decade, an intensification of decay at Ferikoy, both inside and outside of the cemetery walls. As in the days when the sultan was forced to relocate the Great Fields, Istanbul, ever growing, threatens to trample its cemeteries. Trash tossed from the houses that press in on every side litters the grounds. “This place is unwholesome,” Ünal says. From balconies overlooking the graveyard, as if in agreement, aging women shake filth from their rugs. Ünal looks back on his childhood spent playing among the burial plots with fondness, but he says he is beginning to imagine something different for his family. Nimet reminds him that he is still young, that he still has plenty of life in front of him. She wants her husband to find a normal job, one where he can work regular hours and take weekends off, one that pays more, one that isn’t, perhaps, so haunted by death. Despite his worries about the future, on this March morning, Ünal has enough pressing work to preoccupy his mind. There are trees to prune, a chapel to prepare, and a grave to finish digging. This is his way of remembering, of paying tribute to the dead in the secret garden of his youth and young manhood. He shovels the dirt. He climbs the ladder. He steps, Lazarus-like, back into the light. Brian McKanna is a writer and contributor to EthnoTraveler.